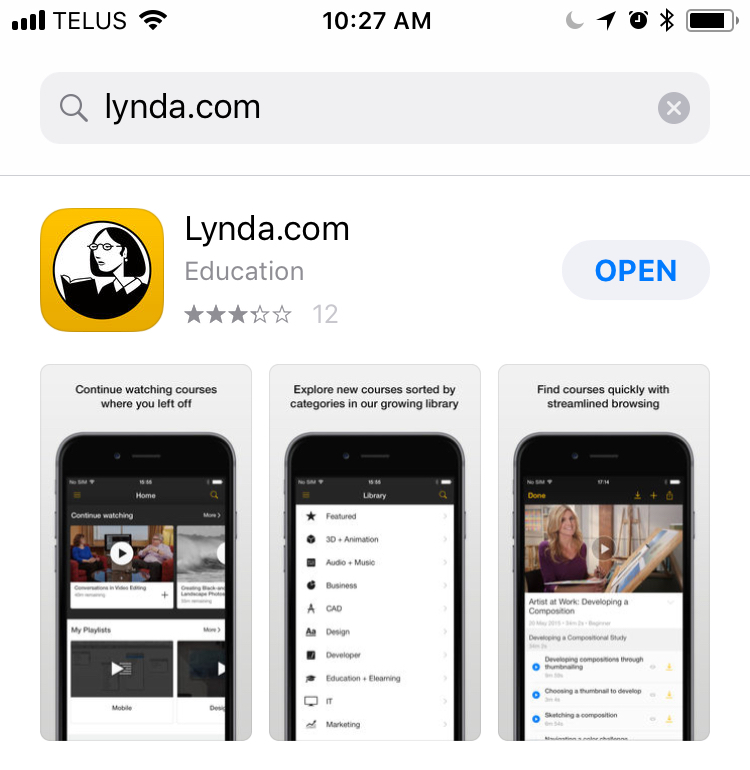 Step 1: Download Lynda.com app by visiting iTunes or Google Play Store and open when the download is complete. Step 2: Select Already a member? 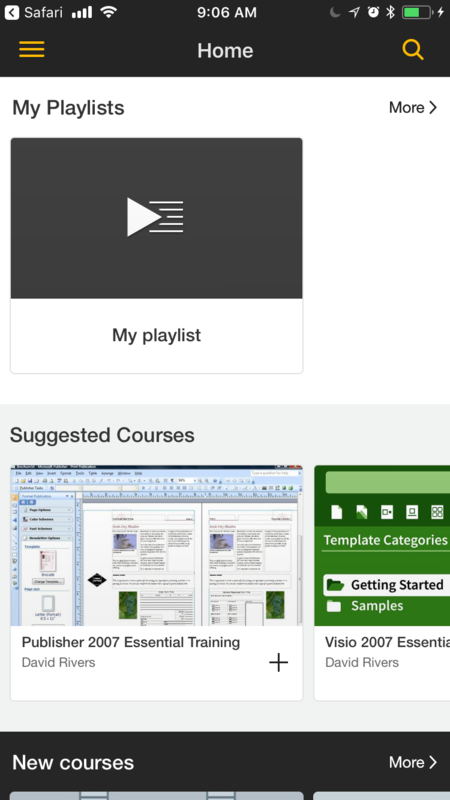 Step 3: Select the Organization tab at the top of the screen. 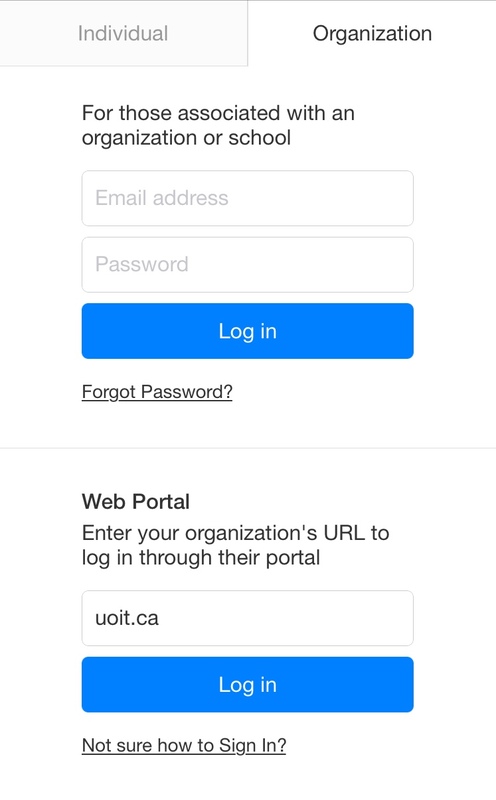 Step 4: Enter uoit.ca into the Web Portal box and select Log in. 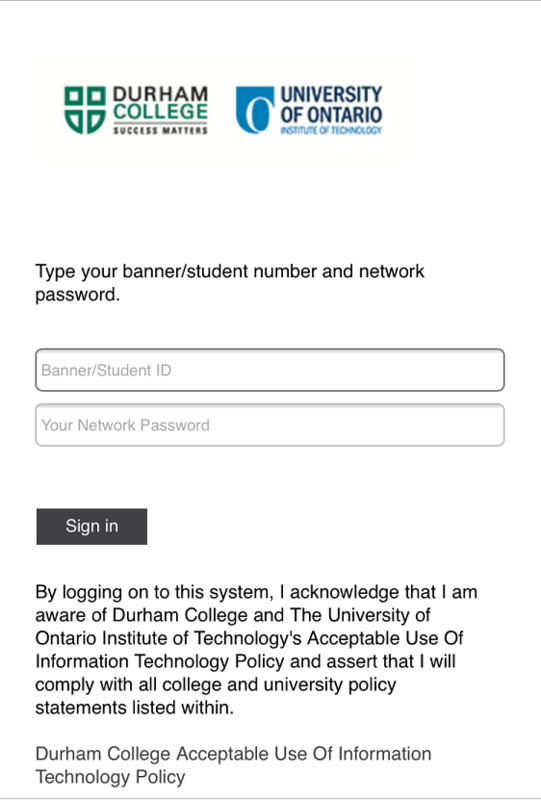 Step 5: You will be redirected to a UOIT/DC log in page. Enter your Banner/student ID (100xxxxxx) and network password. 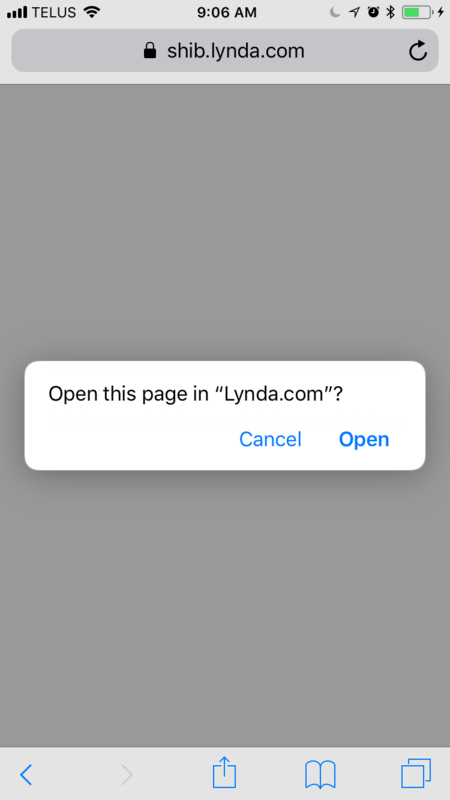 Step 6: Select Open from the pop up window. 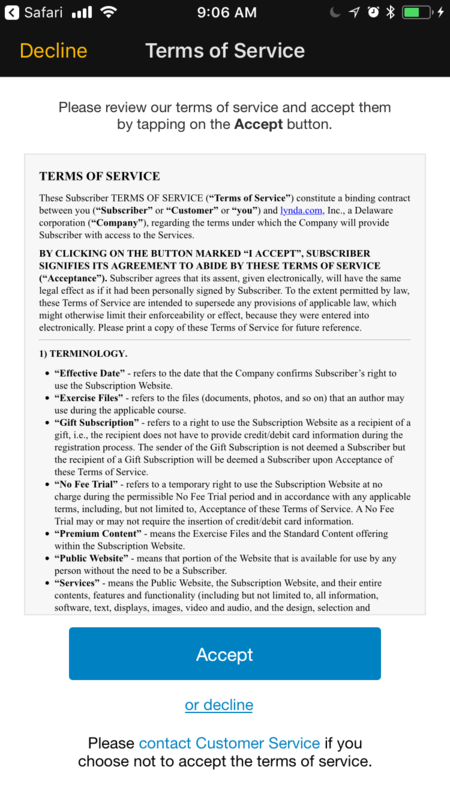 Step 7: Select Accept on the Terms of Service agreement. 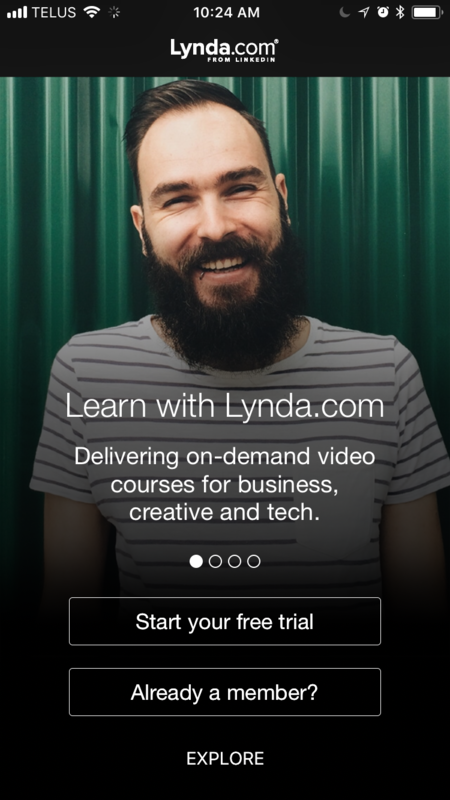 Step 8: You now have access to Lynda.com. Happy learning!